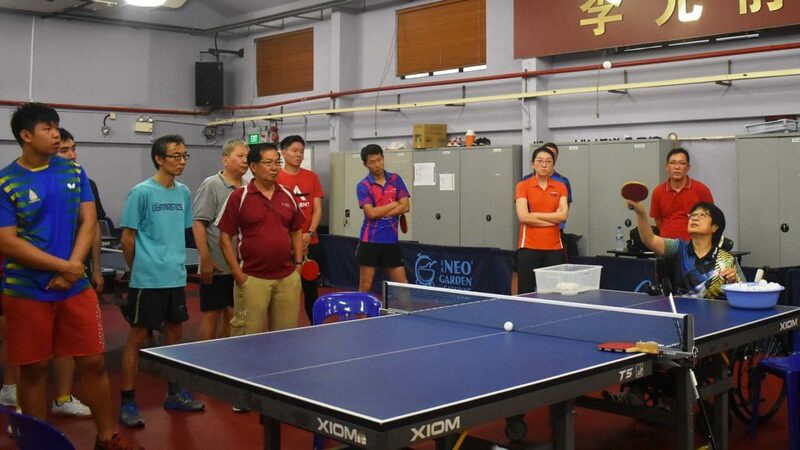 Staged at the Toa Payoh National Training Centre and organised under the auspices of the ITTF Development Programme, Singapore was the home for a recent ITTF/PTT Level One Coach Education Course; proceedings commenced on Thursday 9th March and concluded on Thursday 16th March. The expert on duty was Malaysia’s Christina Chee, a notable name as a Course Conductor especially in South East Asia. A notable name; she was not only notable name present; Christina Chee addressed a group of most worthy students. Present for the course was Jing Jun Hong; she represented Singapore at three consecutive Olympic Games. Additionally, she won the Women’s Singles title at the South East Asian Championships in 1995 and 1997. Likewise present was Li Hu. Now 28 years old; when representing China, he clinched the Boys’ Singles title at the first ever World Junior Championships staged in Santiago in 2003. He attended alongside another worthy name in the guise of Eddy Tay, the High Performance Manager for the Singapore Table Tennis Association. Overall 30 students enrolled, 26 men and four women, with an almost half a century age gap; the youngest was 19 years old, the most senior 69 years of age. Eight table tennis tables were available throughout with no less than 800 balls being accessible. A detailed itinerary was organised following discussions with key members of the Singapore Table Tennis Association. Notably Christina Chee was able to exchange thoughts with Wong Hui Leng (Chief Executive), See Siew Boon (Sports Development Manager) and Amanda Leong (Sports Programme Executive. Good preparation, a successful course ensued with Eddy Tay and a most enthusiastic student in the guise of Leroy Koh most positive in their assessment of the efforts made by Christina Chee. Extensive discussion was prevalent each day with as always the Para element being very much a highlight. 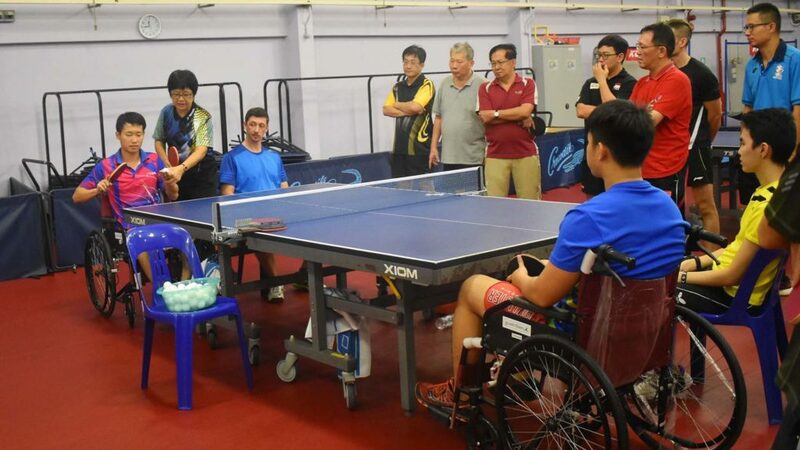 Furthermore, the course provided an immediate benefit; the Singapore Table Tennis Association is presently promoting Sport Table Tennis; an initiative designed to increase participation in schools. More coaches are needed; more have been provided. “After analysing the participants’ feedback, mostly were positively motivated to implement knowledge gained from the course. However more table tennis enthusiast will benefit if the Manual has the Chinese version”, Christina Chee. A total of 25 students passed the course; five received ITTF Club Coach Certification.